2018 graduate, Ewan Di Bartolomeo, performed as Marius in the Castle Performing Arts Learning Center Selections from "Les Miserables"! First Housekeepers' Graduating Class taught by Rose Galera. Congratulations to the Holomua Scholarship Award recipients who achieved perfect attendance for the semester, made an Educational Functioning Level (EFL) gain and gained one ELA class advancement. 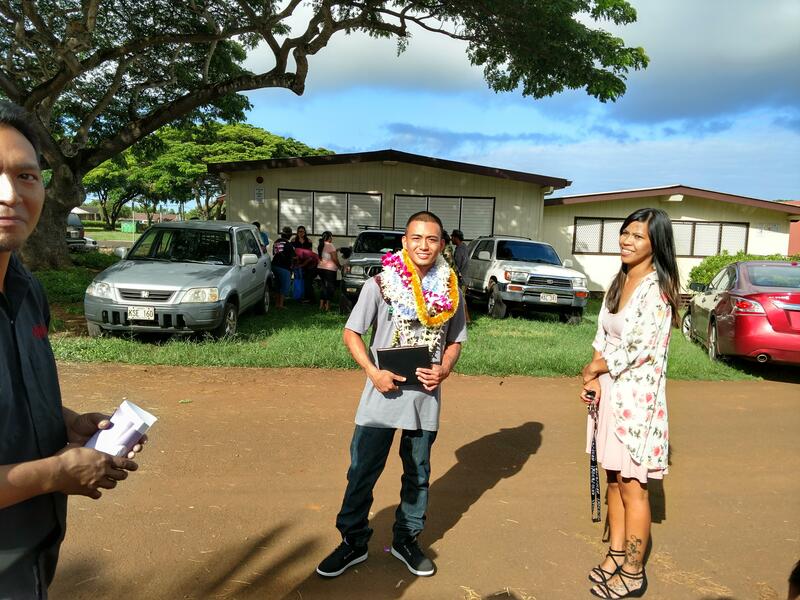 Holomua Scholarship recipients received a complimentary enrollment fee (tuition) and a complimentary textbook. Current MCSA ELA instructor Blossom Hoffman performed in "Aging Is Not For Sissies - Revisited With Men & Music" at UH - Manoa Orvis Auditorium. This touching and funny performance , based on intimate cross - cultural stories of women and men from around the world aged 60-100, challenging the myth that older adults are "over the hill with one foot in the grave." Through stories and songs, the audience meet men and women with a sense of humor and a deep passion for life. 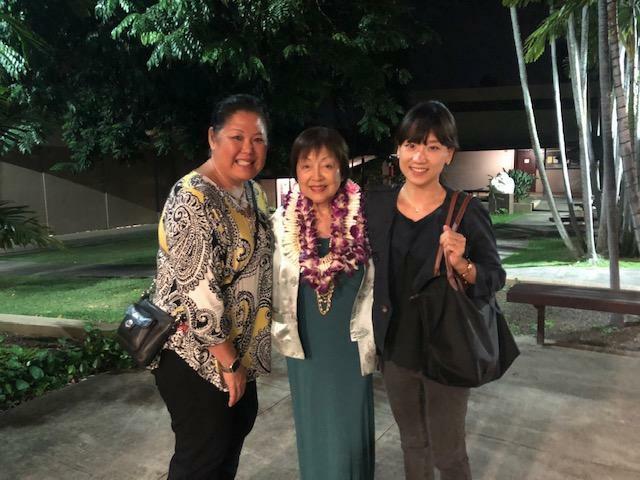 Michele Fukumoto and Tae Eun Kim (current MCSA student and Blossom's former student) congratulate Blossom after the performance. MCSA Maui is offering another online sub teacher certification course. The online course is longer than the live 30 hour courses.